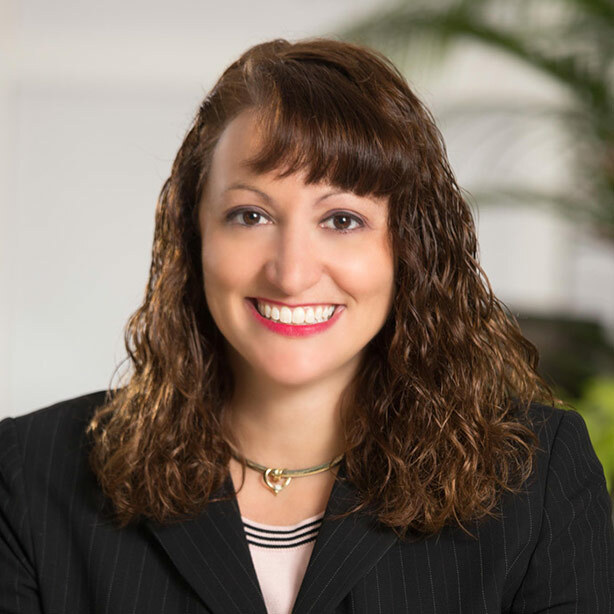 Known for a caring heart, as well as a drive to make a difference, Jennifer Englert is the driving force behind The Orlando Law Group as it enters its second decade serving the Central Florida community. Englert is the managing partner and founder of OLG. For over 15 years, she has focused on business disputes, business law, general civil litigation, special needs & education law, family law, personal injury, and real estate. She has represented entities and individuals in both federal and state trial and appellate courts. Under her direction, The Orlando Law Group has been named one of the fastest-growing law firms in Central Florida and throughout America [ranked No. 105 among the top 500 fastest-growing law firms in the United States, per the 2017 Law Firm 500]. Since 2009, she has built the firm to where it has earned a reputation as the Orlando-area’s law firm that cares about its clients and the communities it serves. Giving back to the community is a staple of Englert’s. She donates time and resources to numerous non-profit organizations throughout Central Florida, and is a member of the East Orlando Chamber of Commerce’s Board of Directors [2018-2019]. She was also named Child & Family Lawyer of the Year  by Finance Monthly. She earned her JD from the University of Florida, and her bachelor’s in political science from Stetson University. She began her legal career as an attorney with Wicker Smith et. al. and then Marshall Dennehey. She resides with her family in Waterford Lakes.